The 2015 Mazda MX-5 Miata is a sporty little roadster that is a lot of fun to drive, but if you are looking for real power and uncompromising performance all wrapped up in a package that’s impossible to miss, nothing matches the 2015 Chevrolet Camaro. This iconic model recently underwent a redesign, and it’s easy to conclude that it looks and drives better than ever before. Find out how both models compare head to head, and if you decide like so many others that you would rather be behind the wheel of the Camaro, make the trip from Bloomingdale to check it out in person at Sunrise Chevrolet in Glendale Heights. Put these cars head to head on the track and there is no question which one would cross the finish line first. 2015 Chevy Camaro Specs: The base engine is a 3.6L V6 that cranks out 323 hp and 278 lb-ft of torque. There are also three V8 options, including a supercharged 6.2L V8 engine that puts out an eye-popping 580 hp and 556 lb-ft of torque and has a zero to 60 mph speed of 4.4 seconds. 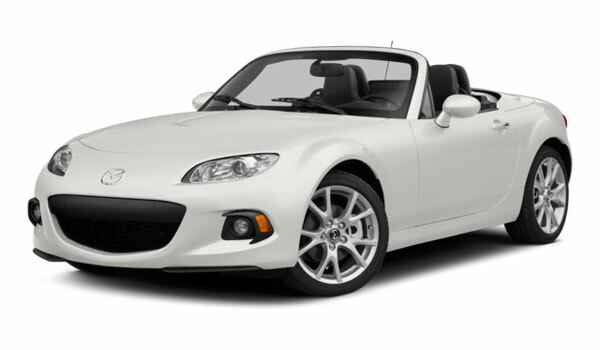 2015 Mazda MX-5 Miata Specs: The only available engine is a 2.0L four-cylinder that musters just 167 hp and 140 lb-ft of torque and reaches 60 mph in 6.8 seconds. The 2015 Chevy Camaro delivers almost twice the power of the MX-5 Miata but has comparable fuel-efficiency ratings, especially on the highway where you really put the engine to the test.The Camaro gets up to17 mpg in the city and 28 mpg on the highway. Even moving up to a V8 engine, fuel efficiency does not drop significantly.While the Miata does get a slightly higher22 mpg in the city and the same 28 mpg on the highway. That’s not much of a difference despite the lack of power. The new Camaro is available at twice at many trim levels as the MX-5 Miata and offers a more generous list of features at each one.Standard on the base trim are automatic headlights, keyless entry, cruise control, Bluetooth connectivity, and satellite radio. All trims also have OnStar, which turns the Camaro into a 4G LTE mobile Wi-Fi hotspot. Higher level trims are equipped with premium features like a heads-up display, a premium nine-speaker stereo, and a huge variety of styling and performance options. None of the features mentioned above come standard on the introductory 2016 Mazda MX-5 Miata trim, and mobile internet is not available at any trim level. Higher level trims extend the list of features, but none matches the Camaro in terms of quality, and many of the advanced technologies that you are looking for are conspicuously absent. 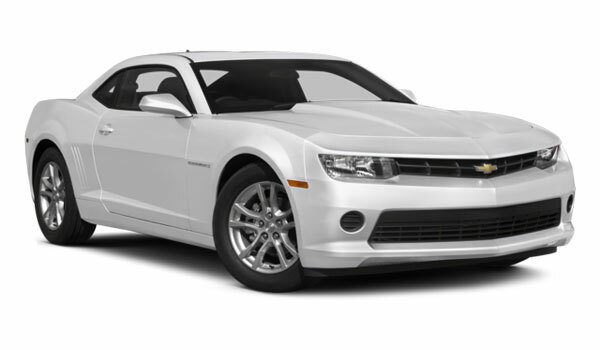 The 2015 Chevy Camaro is better equipped to help you deal with the hazards of the road.In addition to having more airbags and being awarded a perfect five-star rating from the NHTSA, the Camaro comes with OnStar. This telematics system will automatically notify emergency responders and roadside assistance providers, unlock the doors when the keys are inside, and help track a stolen vehicle. The NHTSA has not put the Mazda MX-5 Miata through their crash tests, so you won’t get any reassurance. The car also has no telematics system to assist drivers in difficult situations. In practice, the 2015 Chevy Camaro proves to be the much more practical car. The interior offers seating for four and has a particularly nice front seat with an attractive dash and plenty of head and legroom. The trunk holds 11.3 cubic feet, which is more than enough for a golf bag or a few bag of groceries. For the Mazda roadster, the interior has only two seats, and even average-sized drivers will feel cramped inside. For taller drivers, this model is not an option at all. The trunk is similarly inconvenient with just 5.3 cubic feet of space, barely enough to hold a gym bag and surely not enough to handle most trips to the store. The Camaro offers the best of both worlds: blistering performance and a cabin that is comfortable and convenient. That makes this car a surprisingly great choice as a daily driver. When you are ready to tour and test drive it, make your way to Sunrise Chevrolet located at 414 North Avenue in Glendale Heights, IL 60139. We are only ten minutes from Bloomingdale and easy to reach off of Glen Ellyn Road. Look for the dealership just west of the Brunswick Zone. If you have any questions about the Camaro or the dealership, feel free to contact us.